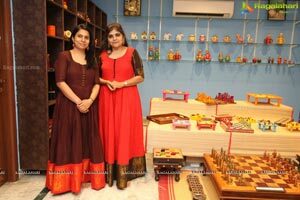 Two city women Sangeeta, and Archana, are on a mission to 'Revive Good Old Indian Games"
Hyderabad, April 08, 2019: Two city women Sangeeta, Educationist turned Fashion Designer, ISB alumni and Archana, an interior designer, and home decor expert are on a mission to revive long forgotten, almost extinct 'Good Old Indian Games". 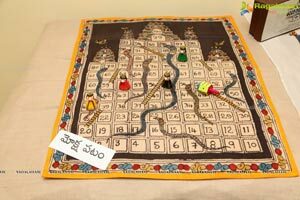 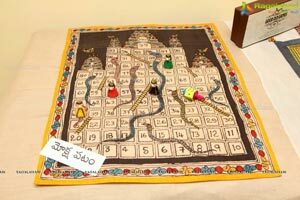 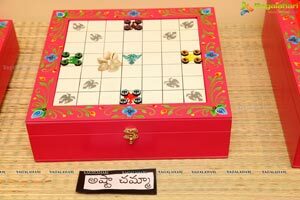 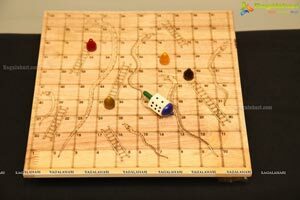 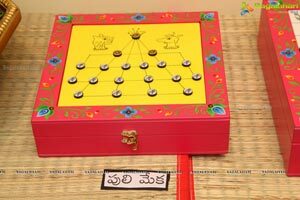 The childhood games on their target for revival are Pachis, Ashta Chamma, Vamana Guntalu, Puli Joodam, Daadi, Snake & Ladder,m Chadrangam(Chess), Taabla, Kailsam, Gachkaayalu, Bambaram, Pittoo, etc and others. 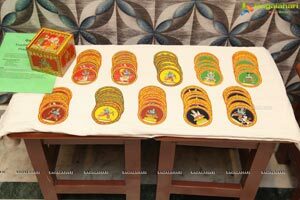 These were the games we have grown up playing in our childhood, they inform while interacting with media at Sangeeta Studio here in the city at Jubilee Hills on Monday. 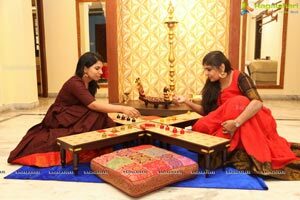 Both friends are known for ten years, decided four years back that they must work to revive quite a number of games which they personally played during their childhood. 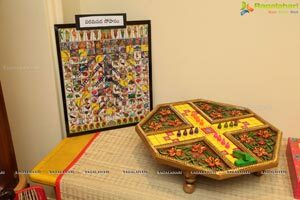 Now they are planning to do an exhibition in the third of week of April at Saptaparni, Banjara Hills, named "Heritage Games of India Expo" to showcase 101 games. 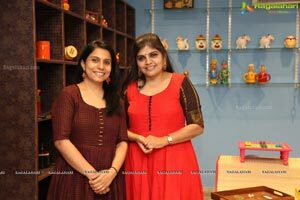 They formed a company. 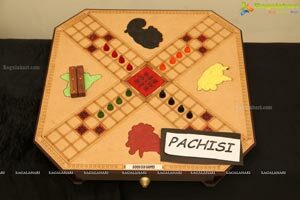 And the name they gave to the company is "Good Old Games". 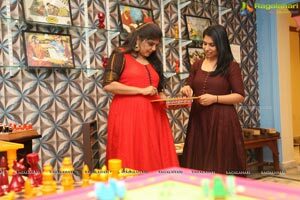 Their mission is not only to revive those games but, also present them as an alternative to virtual games to which our kids are hooked on to. 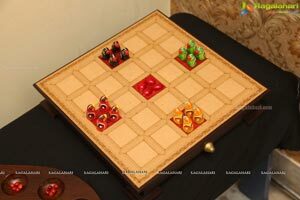 The revival of these games for us is nostalgic. 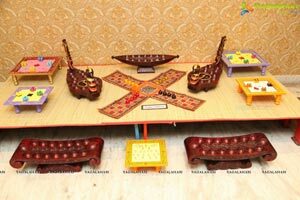 We have sweet memories of our childhood, they add. 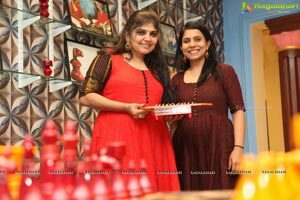 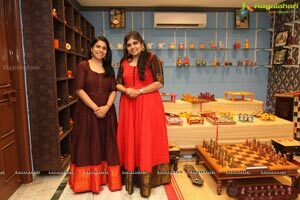 Sangeeta and Archana, both multi-talented designers, painstakingly travelled all over India to identify the right artisan to craft/develop these games. 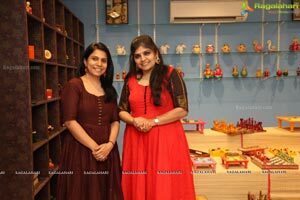 They showcased the wide collection first time to the media. 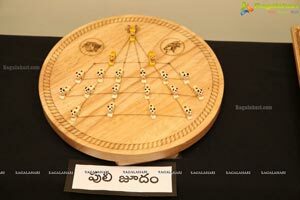 Media had a preview of all these games ahead of its proposed exhibition to be held on April 19th and 20th at Spathaparni at Banjara Hills. 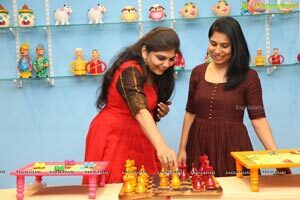 The passionate duo gave a modern and designer look to the indoor games and showcased most of the 101 Games they got developed for the media. 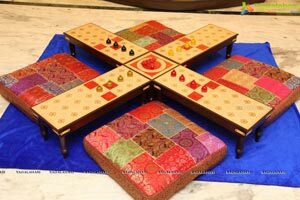 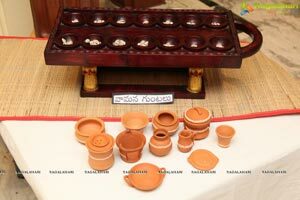 Some of these include Ashta Chemma in Rubberwood, Nu-Wood, Cedar Wood, Jaipur chowki; Vamana Guntalu in painted wood, book fold design, antiques in country wood, Pachisi in Kalamkari, silk embroidery, Jaipur chowki, velvet. 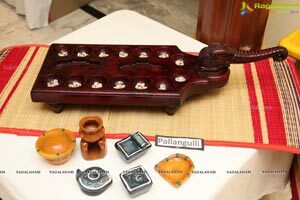 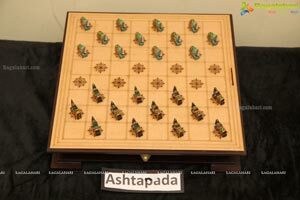 The others include: Giant 5 piece Pachisi, 3 in 1 Pachisi Jaipur Box, Sankers & Ladders antique laminated boards, Goats and Tigers in Silk embroidery, Candarangam Handpainted with figure pawsns, Chadarangam Bahubali Set, Collectors Set, Vertical Chess, Taabla in silk with elephant pawns, Daadi in cedar wood, in painted wood; Tic tac toe had crafted, Solitaire marble games, Cubic Dice boxes, Wooden Kitchen sets, Lady Musician set, 7 stone games, Gachakaayalu, Nesting Dolls, Dancing Dolls, Clay Dolls, Non toxic piggy banks, different types of dice and much more. 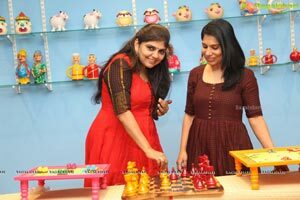 They are so good that seeing is believing and will motivate kids and adults to motivate them to play. 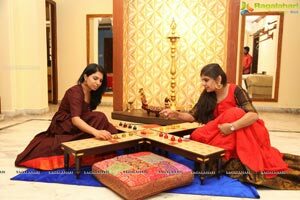 Committed to the cause, Sangeet and Archana have been showcasing and organizing exhibitions of these games for the past four years. 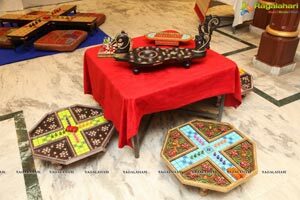 But, this time they are doing it in a very large and wide scale. 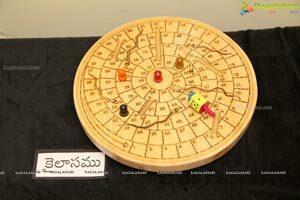 Many games they got developed for the proposed show to be organised in the third week of April. 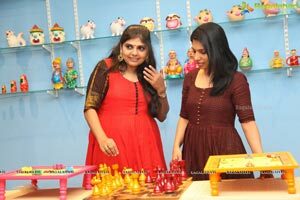 They even plan to organize a series of awareness programs, panel discussions. 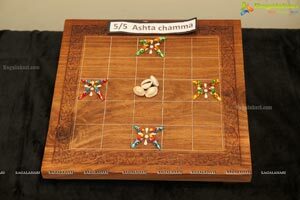 To bring back their past glory they are even planning to organize Tournaments and Competitions in the near future in these Good Old Games in association with Lodge Keys No. 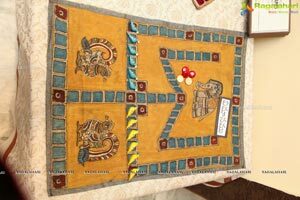 297, a primary unit of Freemasonry. 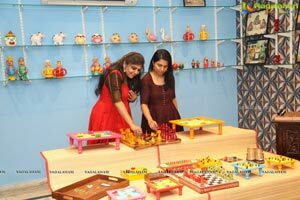 There is a child in every adult. 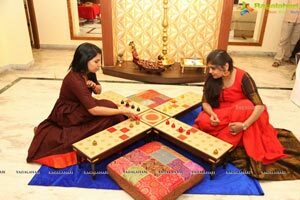 And these games are good tools to unwind at the end of the hectic day to day life and busy schedule adds Sangeeta. 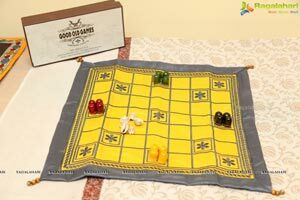 These were the games played in every home and lane and byline few decades ago. 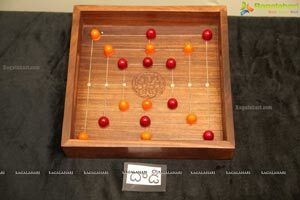 They involved good physical, mental activity and a lot of fun. 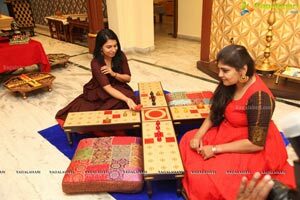 They also served as bonding activities among the members of the family. 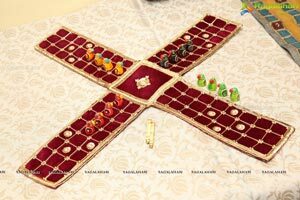 But, unfortunately, the present day generation kids miss them. 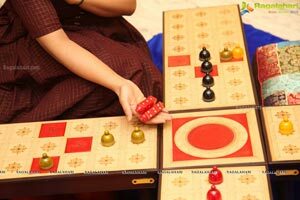 Our aim puts Archana is to help youngsters discover fun of these games. 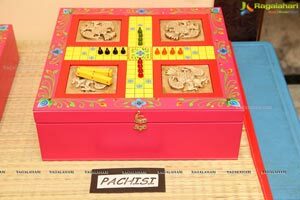 Currently, kids are hooked on to computer games, virtual games, mobile games, laptops. 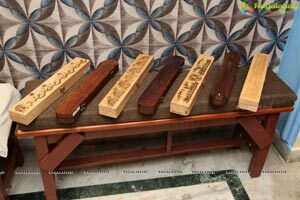 In these days of a stressful life, they will serve as good stress busters. 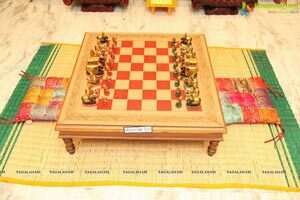 They are easy to play and they don't need a big playground. 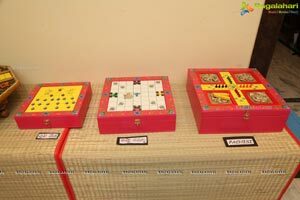 These are both indoor and outdoor games, she added. 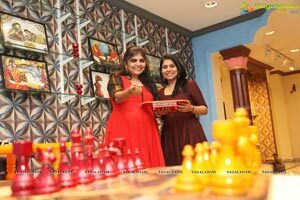 Getting all these games developed and putting them at one place is a big task Sangeeta added. 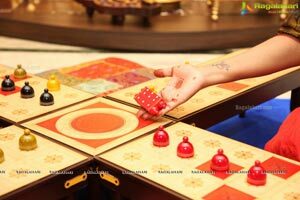 The traditional games are the best pathway to get connected to the real world and spend time with family and friends. 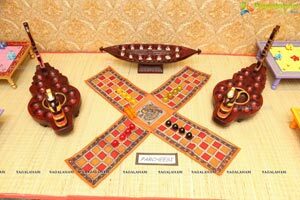 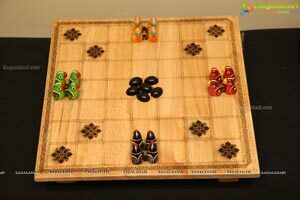 These Indian organic games have moral values and teach good strategy and thinking skills, which are very useful to this generation kids where they hardly interact with each other. 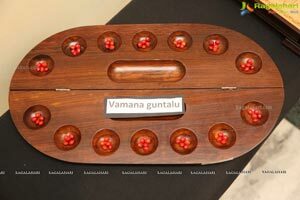 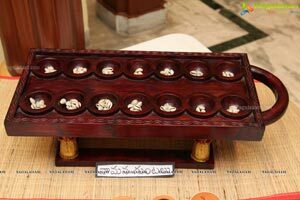 A simple game like 5 stones builds eye and hand coordination and Vamana Guntalu helps with counting. 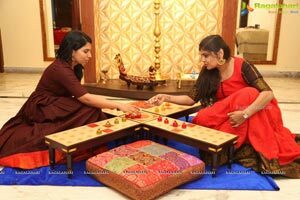 All these Indian games were reasons and roots for spreading knowledge, skills, and strategies inform both Sangeeta and Archana.